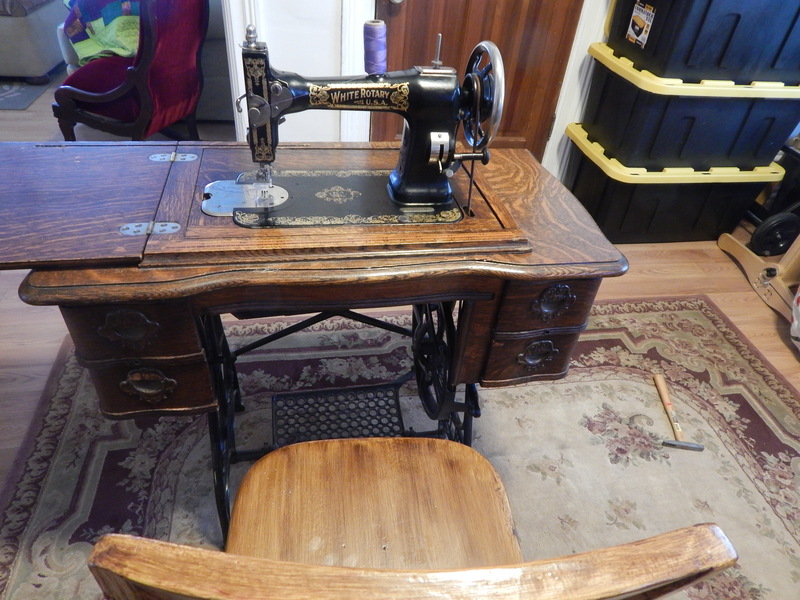 When I went to pick it up the seller told me he had another machine if I was interested. He wanted 20 dollars and I said yes…even before I saw it. 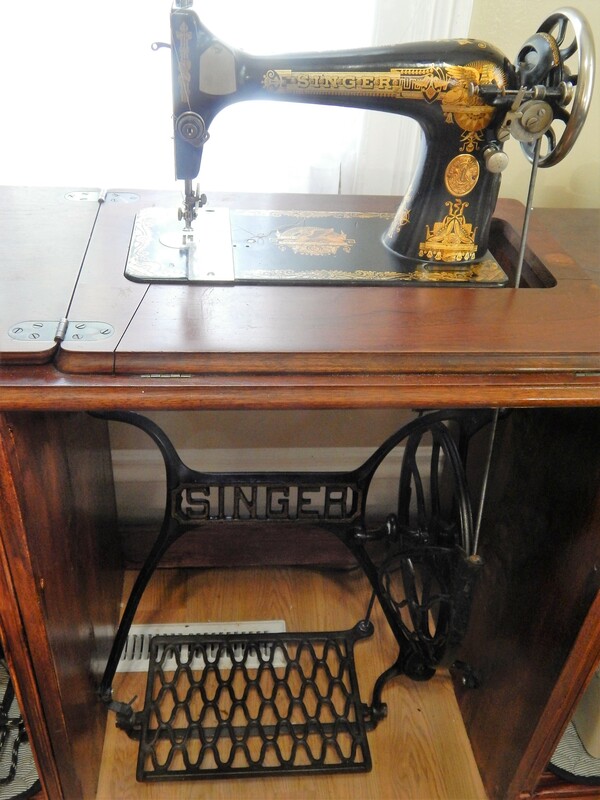 It is a Singer 127. 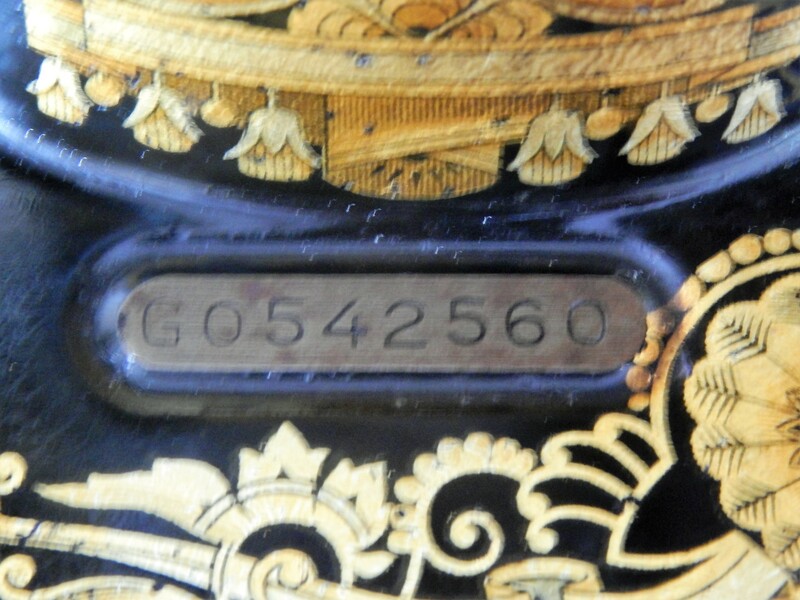 The serial number is G0542560 so that dates it to Dec 18 1923. There were 35,000 of them in that batch. 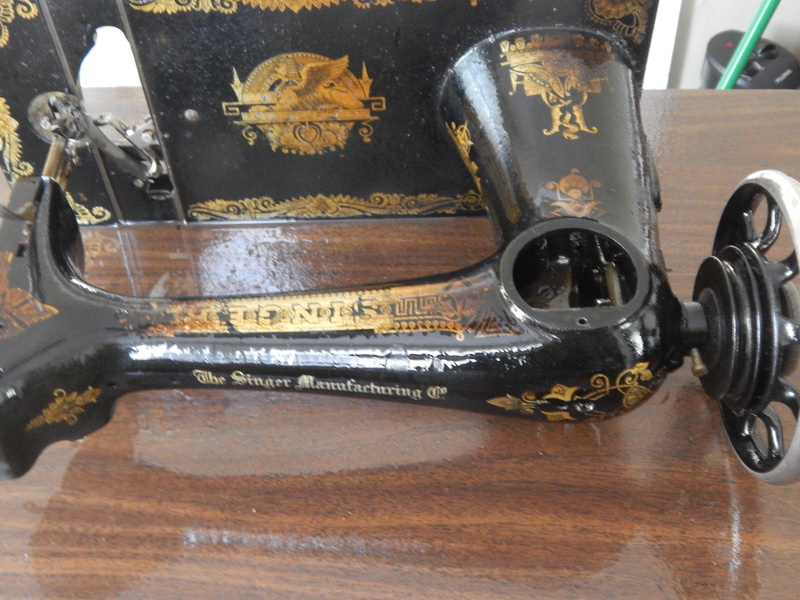 So it is NOT a rare machine. 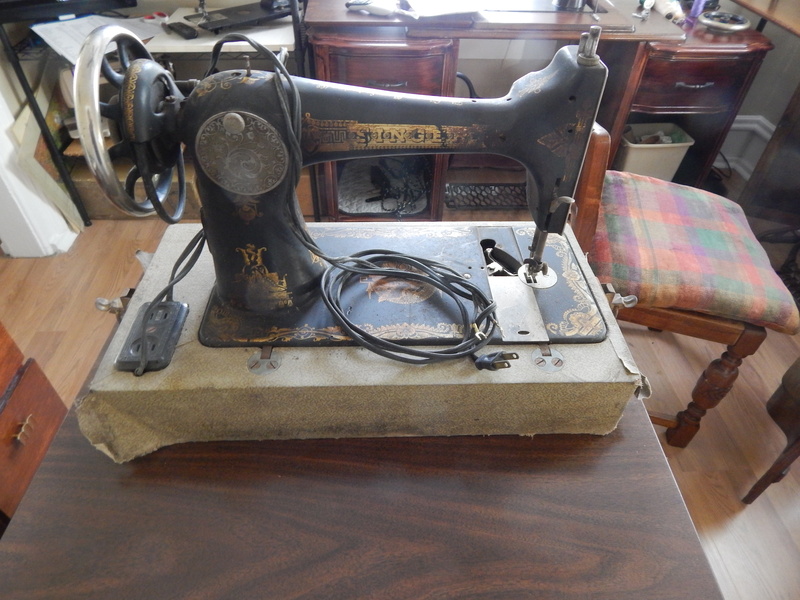 It had been stored in the basement of an old house and it was pretty frozen up but I knew it would be an easy fix. Here it is before any work. 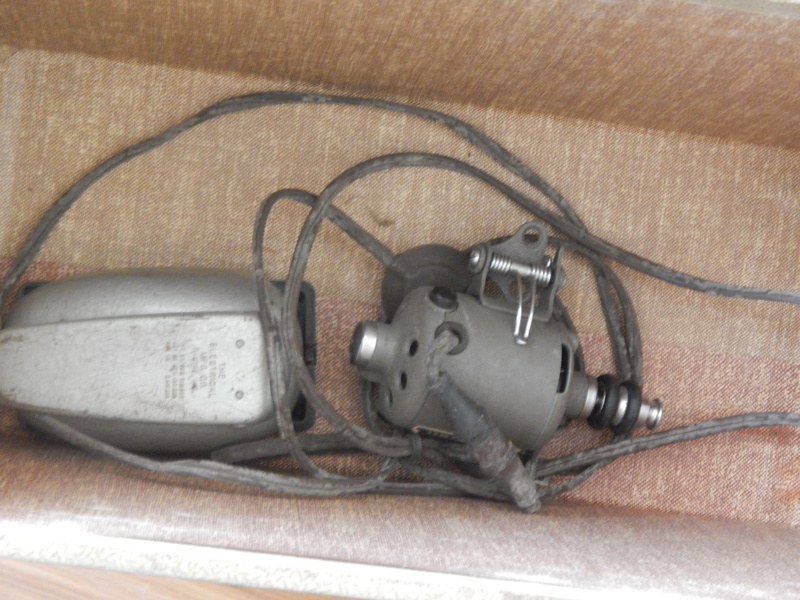 The motor and foot pedal in the case didn’t belong to that machine so I am unsure how they got there. First I took it out of the old case and looked at the underside. It really isn’t bad, no rust so it just needs a good cleaning to get the solidified oil off and get it moving . I use WD-40 for that. I spray it all over all the moving parts and let it sit. 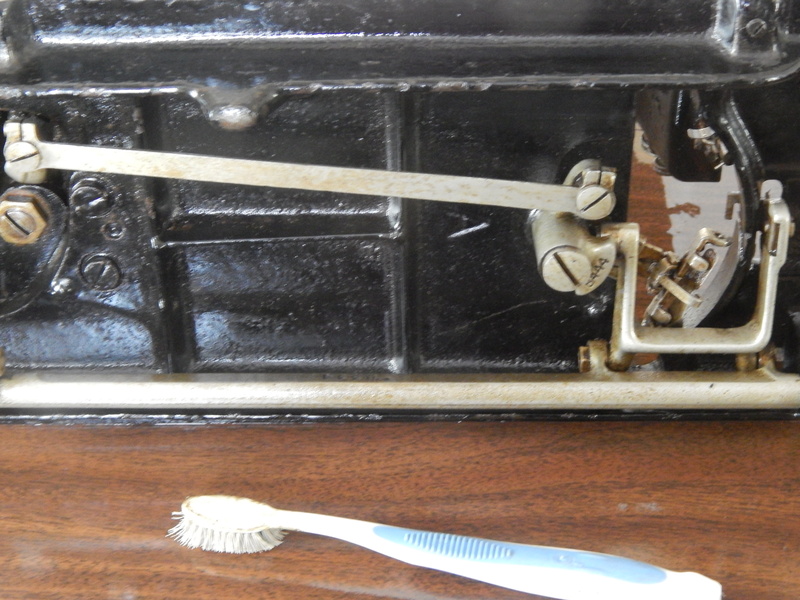 That dissolves all the old gunk and then I can scrub it off. I took off all the easily removable parts. 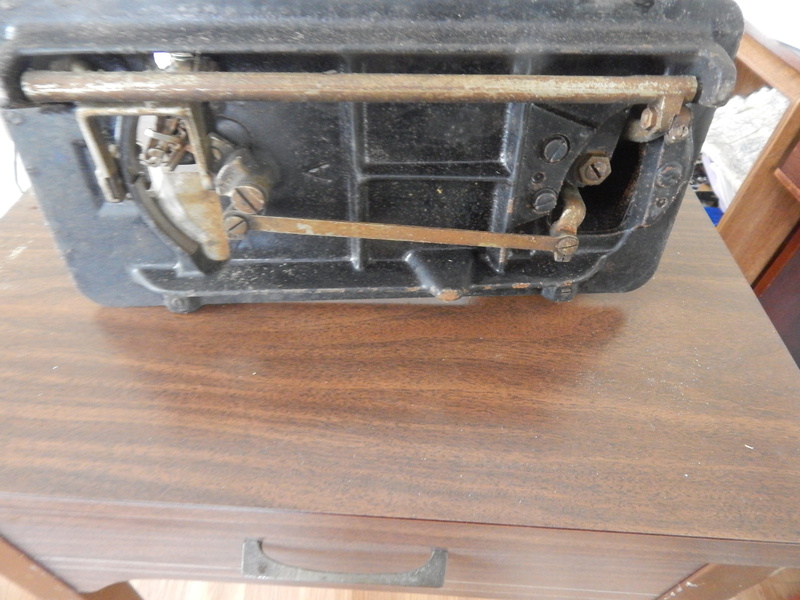 That got the gunk off ….I don’t try to make it perfect and shiny new….just cleaner and freely moving. this takes off a lot of old dried oil and crud. I don’t want to scrub to hard or the decals will wear off. 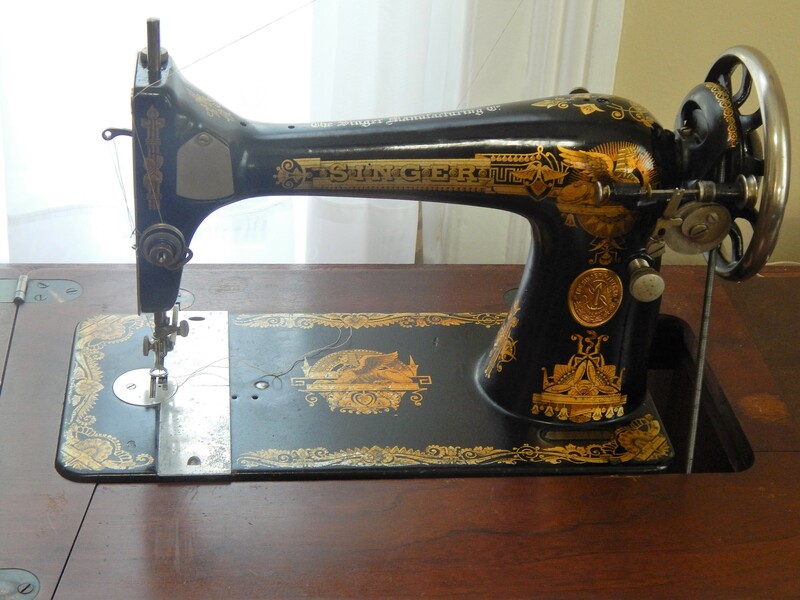 After a good wipe-down with WD-40 I used sewing machine oil and use my fingers and rub it into the machine to loosen any dirt without damaging the decals. 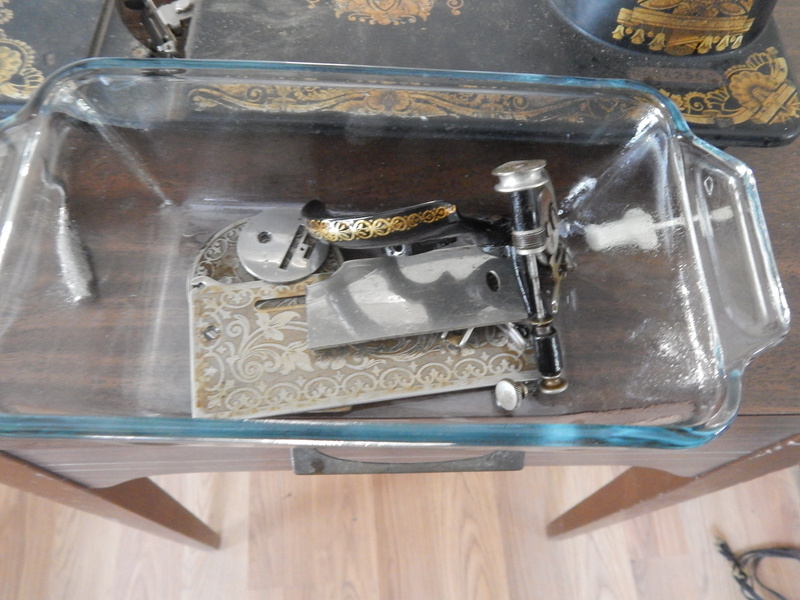 This machine was missing the needle clamp and one of the bobbin covert plates so I had to replace those (eBay to the rescue) Then I make sure to wipe it down well to get out any residual WD-40 in the moving parts and oil it well. I got it all put back together and tested it out. 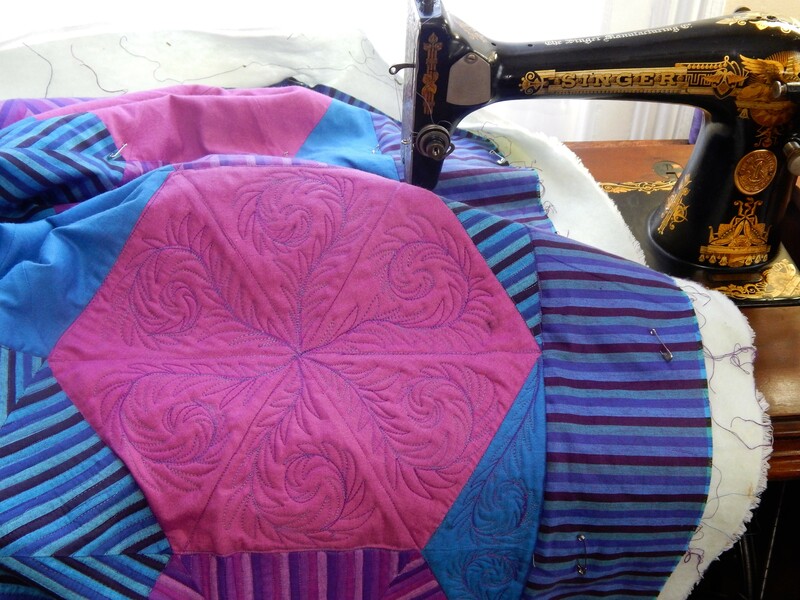 I did the quilting on the pink hexagon with it. It was a beautiful day today so I did a bit of garden work…..so much more to do! 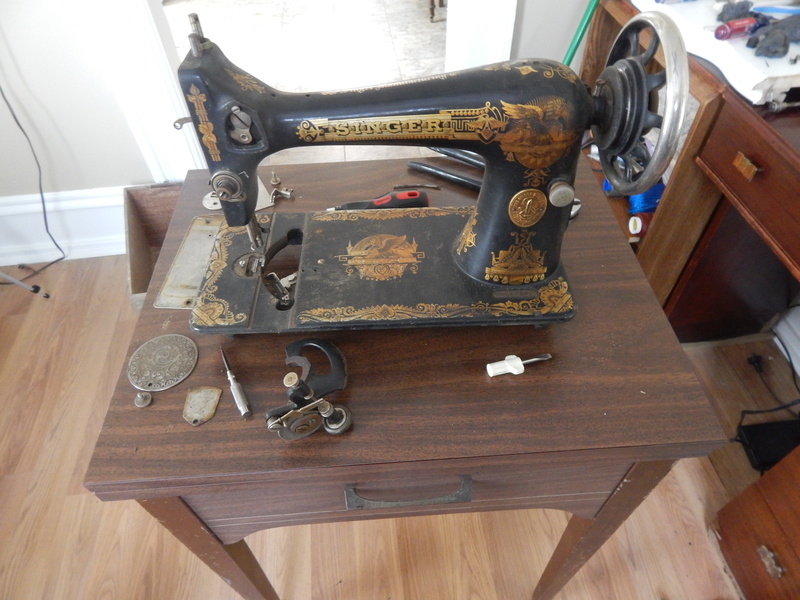 This entry was posted in Garden, Quilts and tagged Garden, vintage sewing machine. It is so great, Tim, to see you breathe new life into these beauties. Amazing as usual….beautiful job! 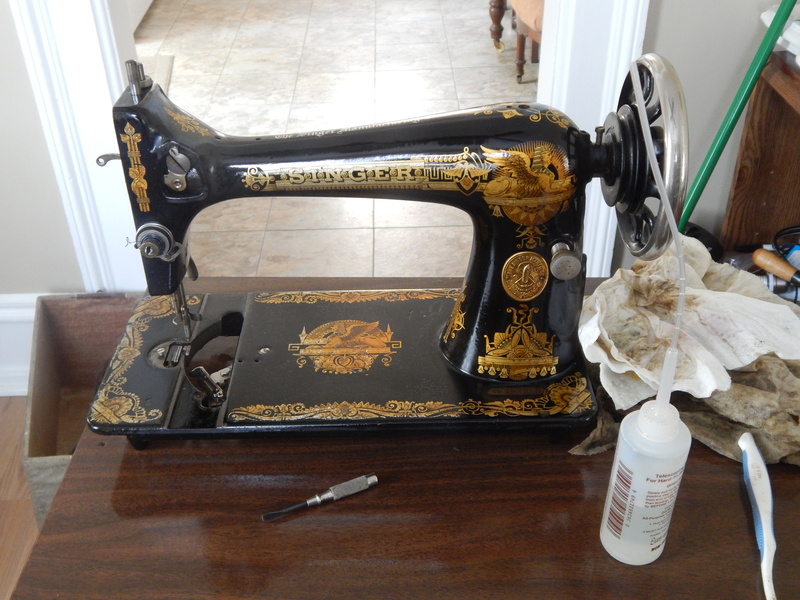 Someone I know also rescues vintage machines but she uses kerosene to soak off the gunk and grime. She said WD-40 can damage the finish on some machines. That CLEARLY doesn’t appear to be a problem with this White machine as it looks great but have you ever found machines that you would not use WD-40 on? 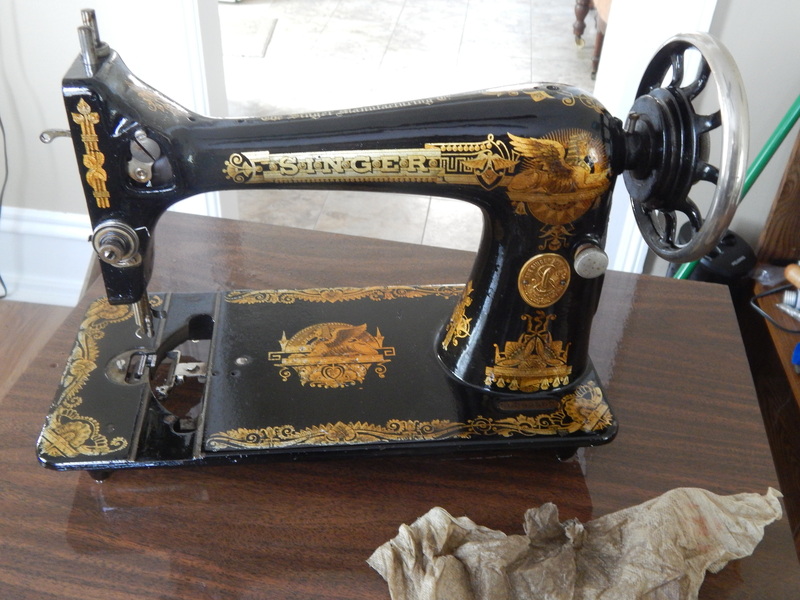 I love all things rescued, whether they be pets or sewing machines! But when I saw your parts washing pan, I immediately thought I would use that for brownies! Tim, I need to add some embroidered heather to one of my quilts. You wouldn’t happen to have any in your garden that I could use as inspiration? Thank you, Tim. Thank you for sharing….everything! Stop! You need to take the time to set up another page devoted to your machines! There’s so much knowledge here that other people would find useful, and if it was all collected in one place – the images and a list of the relevant post links – it would such an amazing resource. 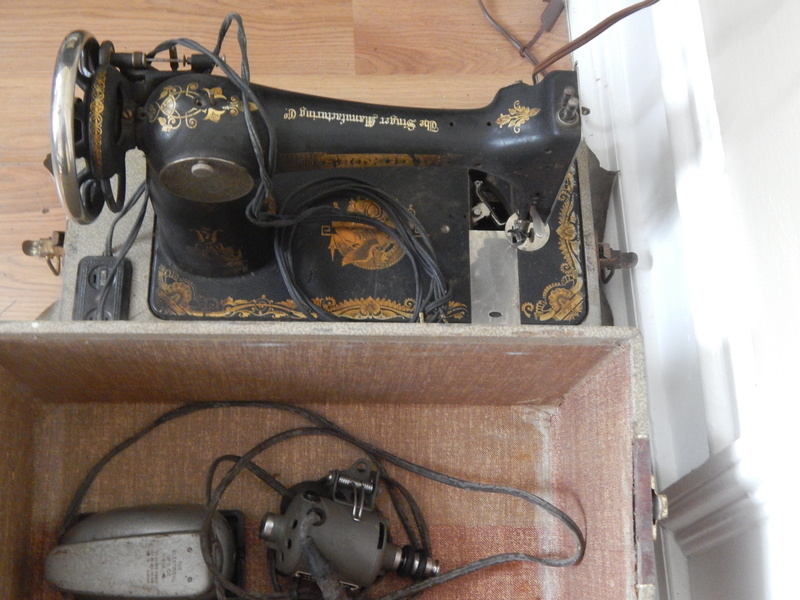 All your vintage beauties, purring along happily and busily making pretty things again, it’s inspiring. Nicely done, and a beautiful machine! Enjoy! Another great post! As always, so much information and inspiration. However, there is a flaw. Where is Teddy?